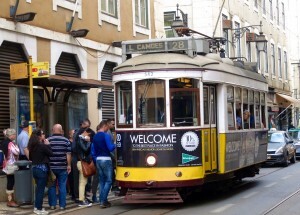 Tram 28 is one of the most recognised symbols of Lisbon. From the airport the train is easy to catch into the city and costs about 3€. A taxi is about 12€. 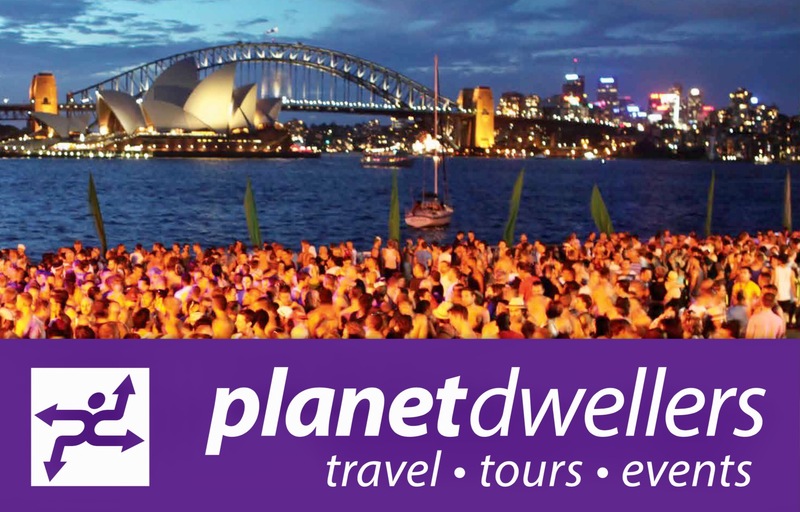 Príncipe Real district is an excellent area to stay, good transport, great small local restaurants and it is the area where most gay bars, saunas and clubs are located. We had a favourite cafe which made great coffee in the park on the main road in Príncipe Real. You can’t miss it and the food and snacks are also terrific. (Esplanada Cafe) On Fridays this park has a quaint local market which sells some very unique products. A great place to buy a special handmade souvenir from Lisbon. Tram 28 is a must – besides being very quaint and an authentic part of the city’s character, it is a great tram to catch to get a sense of the layout of Lisbon. Trams run about every 15 minutes and they get very crowded. 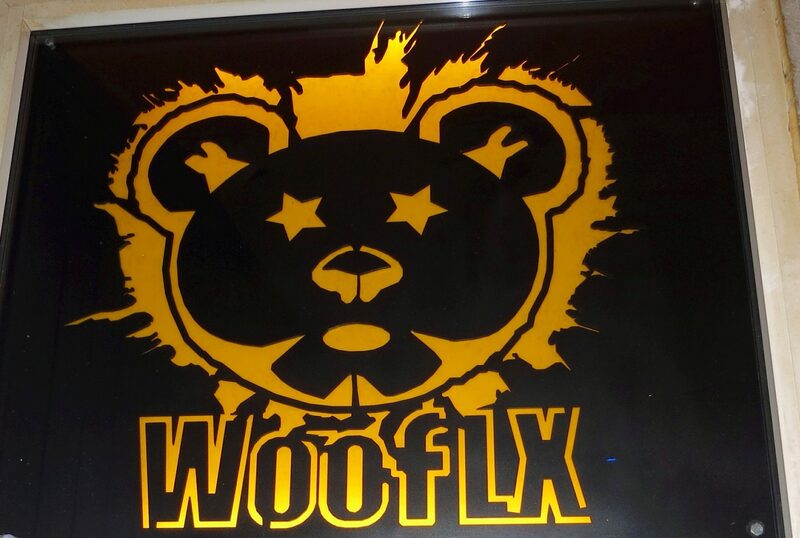 Our advice is get it early in your stay and get it early in the day. Don’t sit in the first 3 seats either side as they are “reserved” for the local oldies and disabled and you will be asked to move. There are lots of warnings about pickpockets on Tram 28, so keep your valuables covered. Get off Tram 28 near Castle George (Castelo de Sao Jorge) – a high point and an interesting castle where you get great views across the city. We had a long lunch at a terrace restaurant overlooking the city, right near the tram stop. The sangria was delicious and the view was outstanding. Welcome to Lisbon! The metro is great and the day ticket costs 6€ and you can also use it on Tram 28 and other trams, the metro buses and the above ground trains and you can top it up each day. Good shopping can be found in Chiado district. 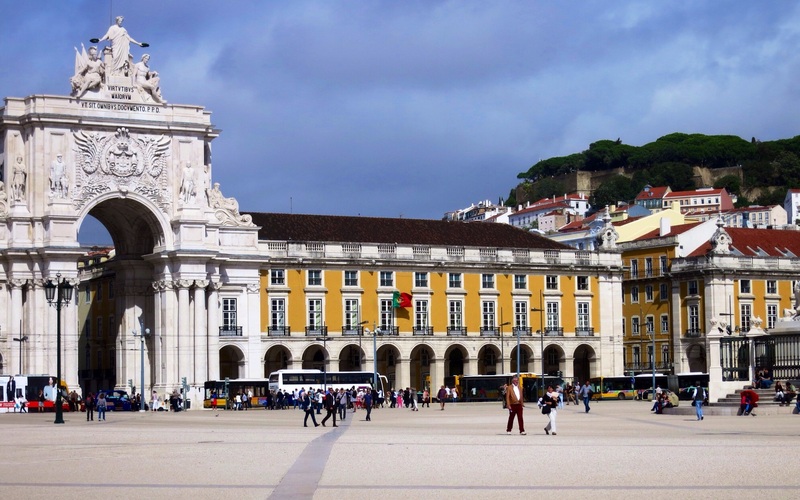 Walk around and then take a short stroll to Bairro Alto where there are great restaurants and bars. The local traditional music is fado – a melancholic, operatic kind of singing, accompanied by guitar. You will find these singers in restaurants in the Bairro Alto area. There are tourist restaurants featuring this music in other areas, but these are not as authentic. On Saturdays the flea market (Feira da Ladra) is worth a visit. It is not far from the Santa Apolonia metro station (a bit of a climb up a hilly road). 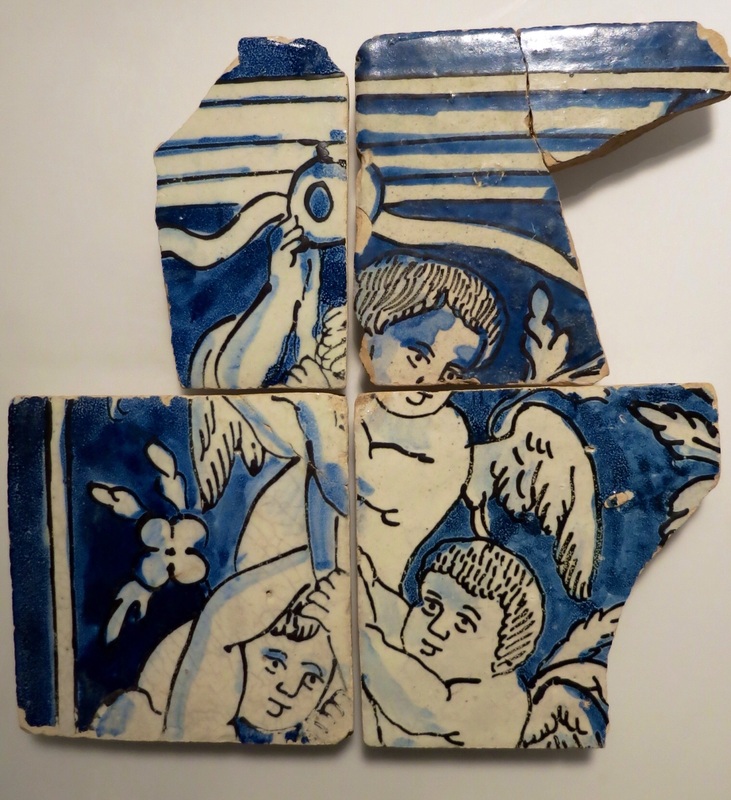 The Tile Museum is really beautiful – quite an insight into the importance and quality of tiles in Portuguese history and in contemporary life. Pavilhao Chines (Chinese Pavilion) Bar on Rue Dom Pedro 89/91, Príncipe Real is an absolute must for a cocktail, pre or post dinner drink. 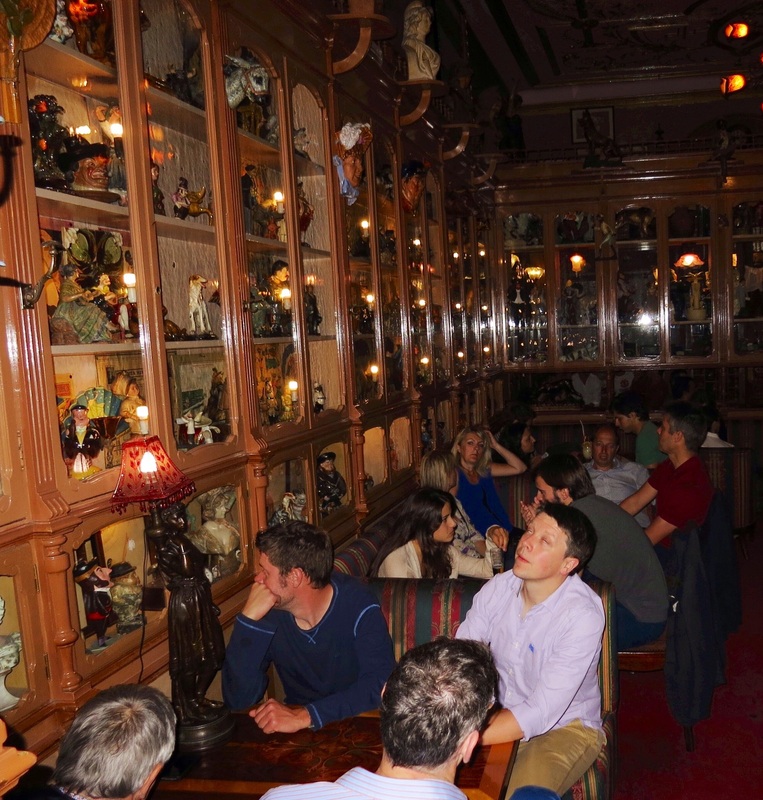 It is a very old bar in which various rooms are decorated with unusual collections of objets d’art, memorabilia and collectables. Don’t miss it. It takes quirky to a whole new level. We can highly recommend two fine restaurants for a special evening out in Lisbon. Flor da Laranja is a North African restaurant run by a woman who does all the cooking and serving herself. The food was delicious and she was an absolutely delightful host. The other restaurant is 100 Maneiras (see our full article, Lisbon Culinary Adventure to find out more) which is also a superb choice. 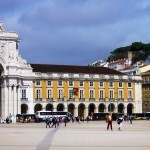 Both are in the Bairro Alto area and you will need to book as they are both extremely popular. 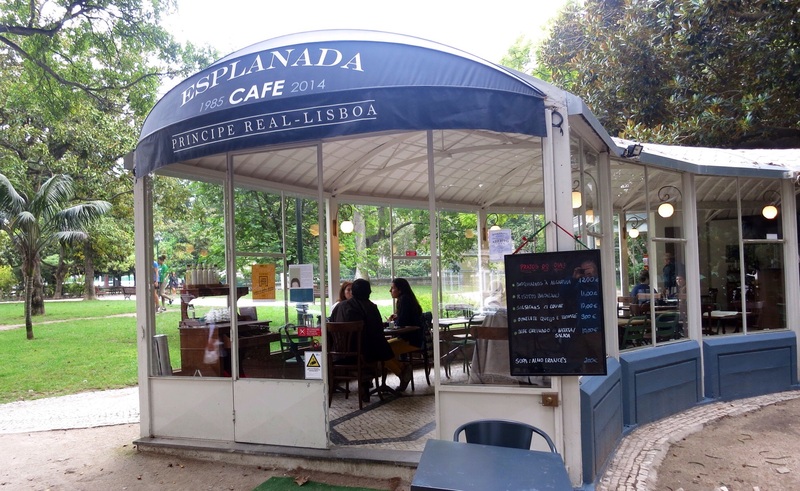 There are brilliant eating places all over Lisbon. Take time to do what the locals do and stop to enjoy a long, relaxing lunch. Food is so reasonably priced and the service is always hospitable. Enjoy! 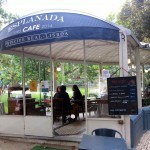 Esplanada Cafe is in the centre of the park in Príncipe Real. Great coffee! So many choices of fresh, mouthwatering food choices at Mercado Do Rabeira. 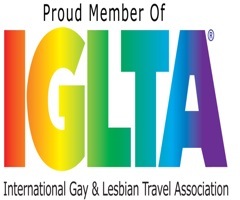 The two areas for gay life in Lisbon are around Principe Real and Bairro Alto. 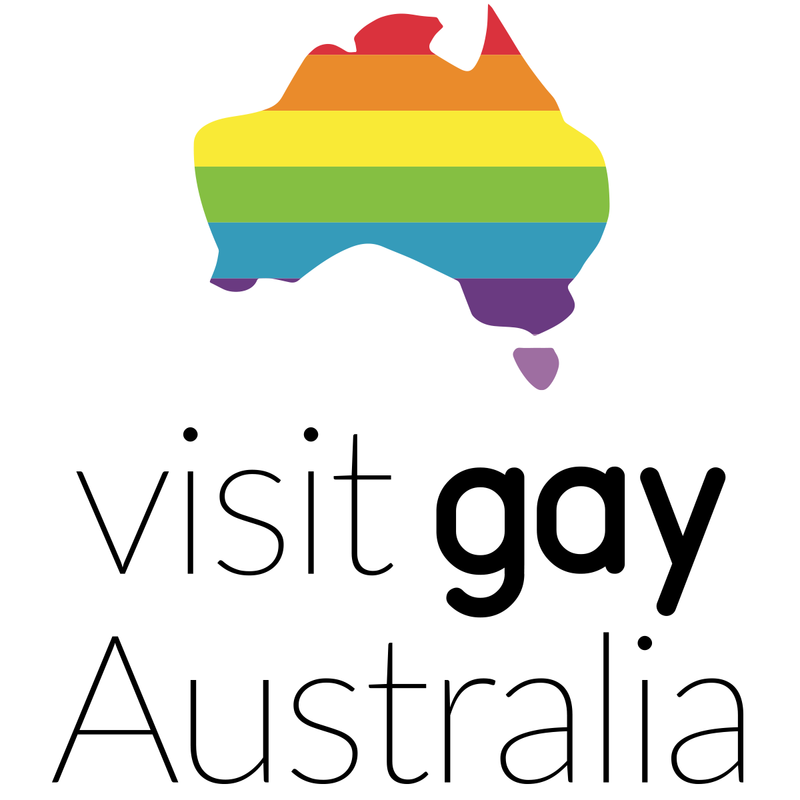 Here you will find a number of gay bars, restaurants, saunas and cruise clubs. The bars don’t get going much before midnight and close late. During the week they are quiet. However, on the weekends they are busy. 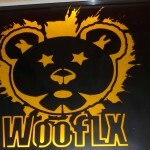 In Principe Real, Bar 106 is a popular choice, as is Woof XL. Construction is one of the best dance clubs in this area with lots of men with shirts off. Most of the bars in both areas are small and friendly. 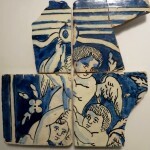 The importance of tiles is evident in the tile museum and all over the city.  The gay scene is spread out around the city but mostly in Bairro Alto and Principe Real. 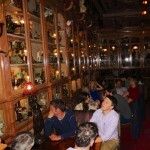 The collectables at the Chinese Pavilion Bar are a must see. The intricate detail of the carvings and symbols are spectacular. 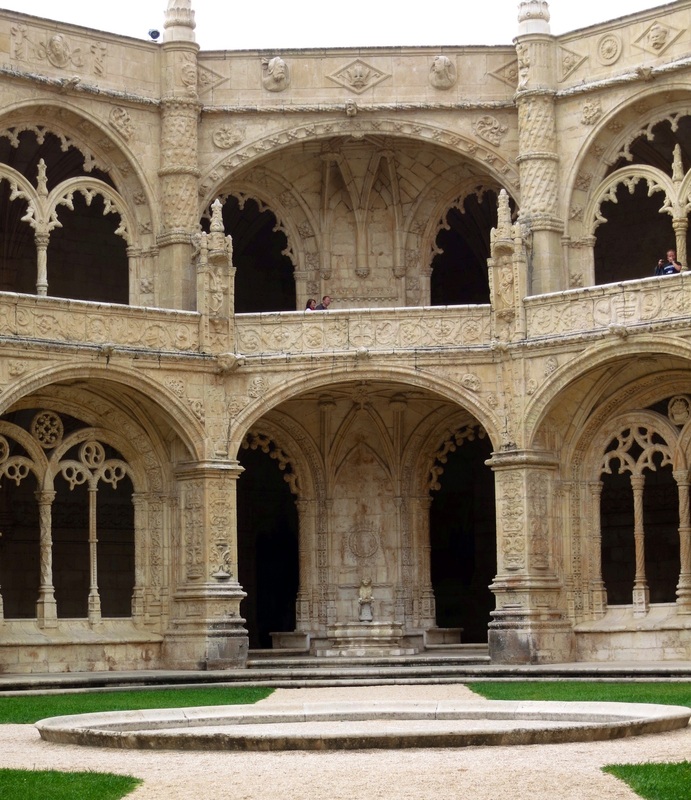 The cloisters of the monastery are truly magnificent. 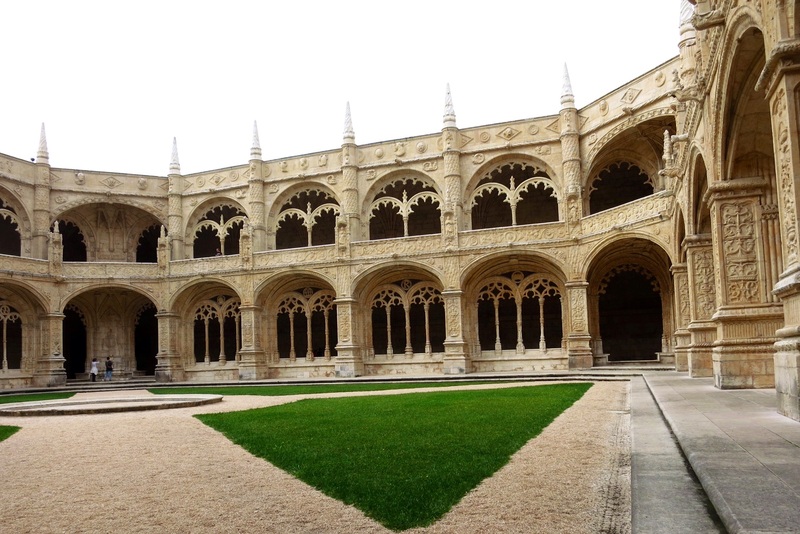 Jerónimos Monastery is a magnificent and austere building in Belém. 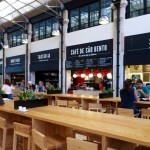 We discovered a wonderful place to have lunch at the Mercado do Ribeira, Lisbon’s food market, across the road from Cais do Sodre metro stop. While produce is sold in one part, the main attraction is the large section where five of Lisbon‘s iconic chefs and a number of other food producers have opened little boutique restaurants around a type of food court. You can dine in at some, or use the central bench seating areas to try a selection of the amazing food on offer. One of our favourites was Chef Marlene Vieira’s creamy duck and asparagus risotto which was delightful, especially with the side serve of crispy pork belly. On another day we enjoyed Chef Henrique Sa Pessoa‘s version of the traditional baked salted cod fish (bacalhau) with carrot, spinach and topped with grilled potato mash, which was just heavenly. We then treated ourselves to the freshly baked Portuguese custard tarts (Pastel) and coffee at one of the outside cafés. There are also many other outlets selling wine, chocolates, sandwiches, croquettes, pizza, cakes and coffee. 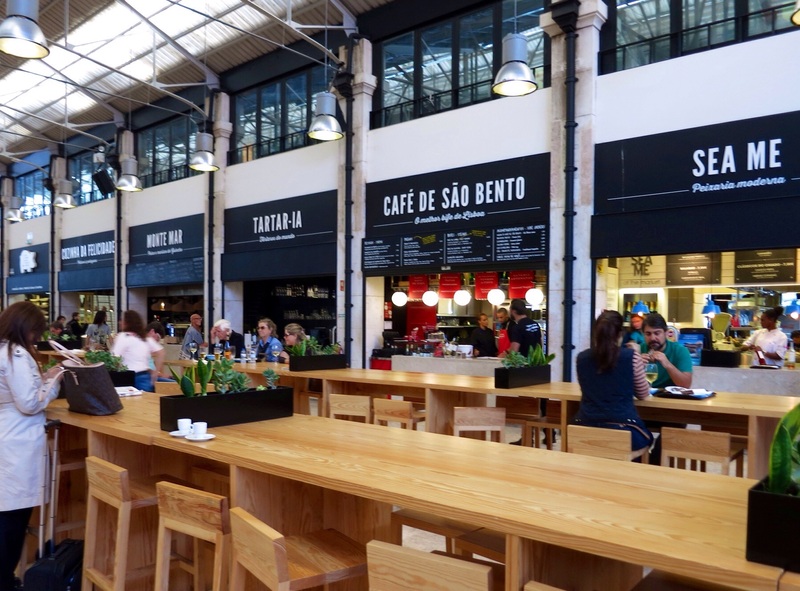 The food hall opened in May 2014 and is an innovative approach which has seen Lisbon’s old market completely redeveloped. The eating space is magnificent, built within the old oriental dome, which has given the 1890’s building a new lease of life. 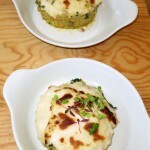 Have a look at this article for some great up to date eating advice for Lisbon. 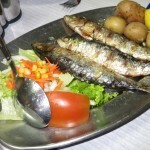 Sardines are a speciality of Lisbon. 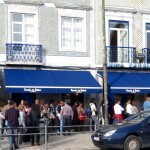 The line outside the original Portuguese tart shop in Belém. They really are very prized sweets in Lisbon. 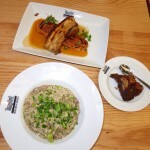 Duck and asparagus risotto and just a small portion of the crispy pork belly. Bacalhau is a traditional Portuguese dish which can be presented in many modern forms. 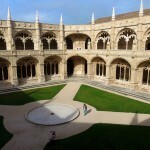 One afternoon we took ourselves on the above ground train to Belém, about 6 kilometres west of the city. 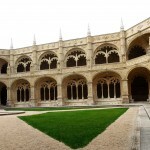 Here you will find some of the city’s best historical buildings and landmarks including Jerónimos Monastery, the Maritime Museum and the Tower of Belém. Belém’s main street and historical avenue is Rua de Belém. Here you will see 160 year old buildings that have survived several years of change and modernisation. 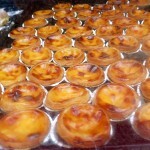 Todays visitors to Belém are most interested in sampling the famous Portuguese tarts. 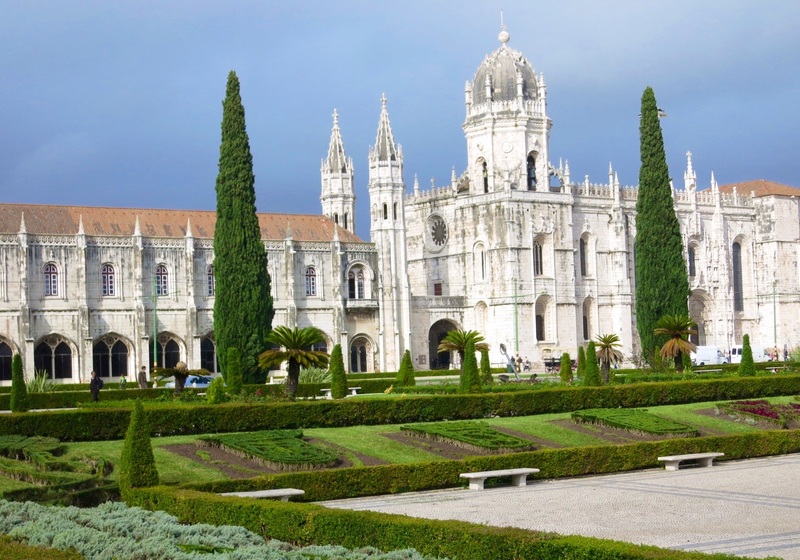 Pastéis de nata (Egg tarts) were created before the 18th century by Catholic monks at the Jerónimos Monastery. At the time, egg whites were used extensively for starching nuns habits which resulted in large quantities of egg yolks left over. They were used to make cakes and sweet pastry, helping to raise some much needed funds for the monastery. On the way to the Jerónimos Monastery you will see a long line up of people… they are outside Casa Pateis de Belém, the original manufacturer of these delicious delicacies. Don’t line up as the line is for takeaways. Go inside one of the other doors and look around for a table. There are a number of rooms and even if you have to line up inside it won’t take long (unless you are there on a weekend or in the height of the tourist season). 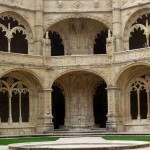 Jerónimos Monastery is well worth the 12€ entry fee. 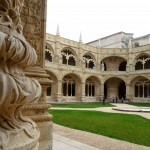 This 14th century building is richly ornate. 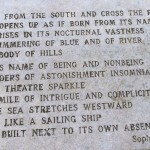 Its grand architectural design includes complex sculptural themes incorporating maritime elements and objects discovered during naval expeditions and ornately carved limestone. Built to impress, this monastery was constructed to demonstrate the strength and importance of the Catholic Church. Don’t forget to climb the stairs to the second level where you get outstanding views of the church’s courtyard and interior where you gain a better sense of the scale of the monastery. The Maritime Museum, which is at the far end of the Monastery, is quite a fascinating insight into how the Portuguese surveyed the world as well as their colonial exploits, plus lots of models and full size boats. From there, get a cab, or take a long walk along the waterfront to Belém Tower. 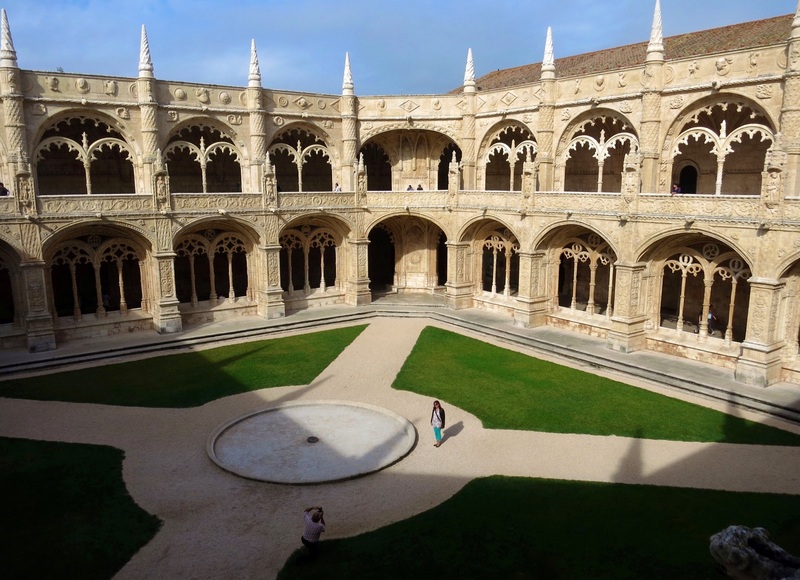 Originally part of the system of defence, it now sits proudly near the mouth of the Tagus River, forming a grand, ceremonial gateway to Lisbon. 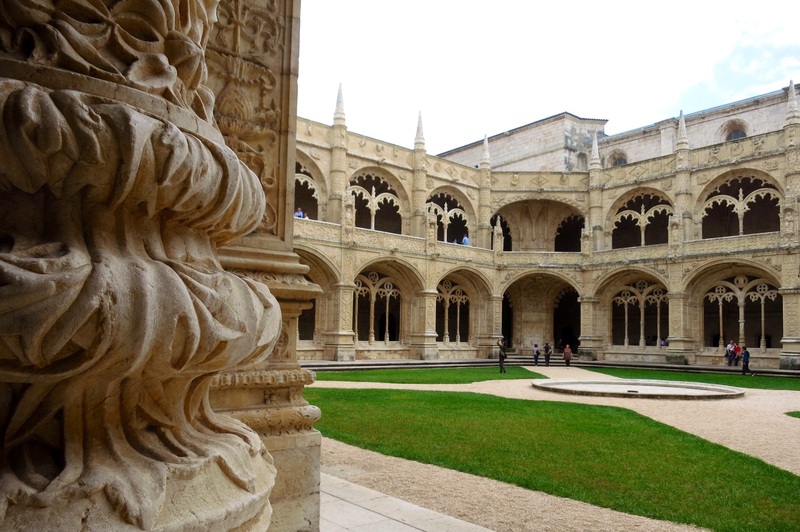 There is so much to see and do in the Belém area. Leave a full day for this. 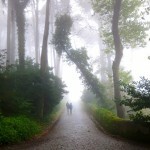 Even on a misty day Sintra is stunning and atmospheric. 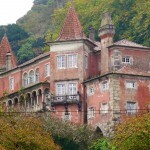 Spend a wonderful day in the hills of Sintra, a world heritage site. 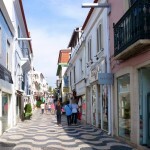 Cascais has a great shopping area in pedestrian streets. Have one of the ice cream flavours available from the large selection at Santinis. 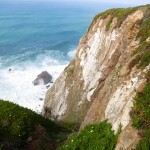 The most westerly point of Europe. Magnificent home in the mountains. If you want a brief break from Lisbon, a short train trip takes you to Sintra. In half a day you can visit the highland area overlooking the peninsula – it is where the elite had their castles and holiday homes in a bygone era. 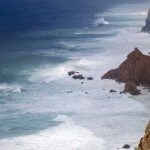 It is a beautiful area, on a clear day when you can look back to the coast or even with the mysterious mountain mists. 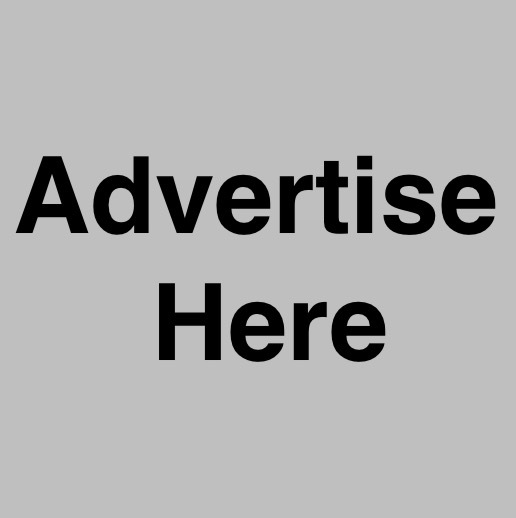 You can get around by using the hop on hop off local buses (don’t take the tourist one), 435 and 434 are the buses to catch – turn right at the railway station and walk a short distance to the bus stop – the local buses are much cheaper and take better routes. 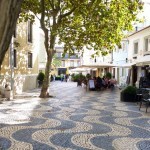 Right in the centre of Sintra we had a wonderful lunch at Cafe Paris. The seafood ravioli with smoked salmon and coriander risotto was outstanding, as was the fettuccine with prawns, mushrooms, bacon, pineapple and basil. Sounds unusual but tasted very delicious. 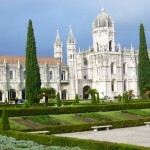 Viator do a full day tour to Sintra and Cascais, the up market seaside town close to the most westerly point of Europe. 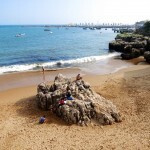 At Cascais you have a number of good beaches and shops and don’t miss the best ice-cream place in the area called Santini. They have been making ice-cream here since 1949 and the reason why they are still in business is because their ice cream is exceptional. 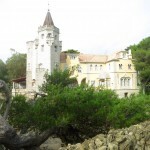 You can visit Cascais by catching the very fast train from the centre of Lisbon (Rossio Station), which takes about 30 minutes.